Primarily used for tailing, but makes some nice wings as well. The natural grayish black color bleaches to beautiful shades of ginger. Length varies from 1 1/2 " to 3". 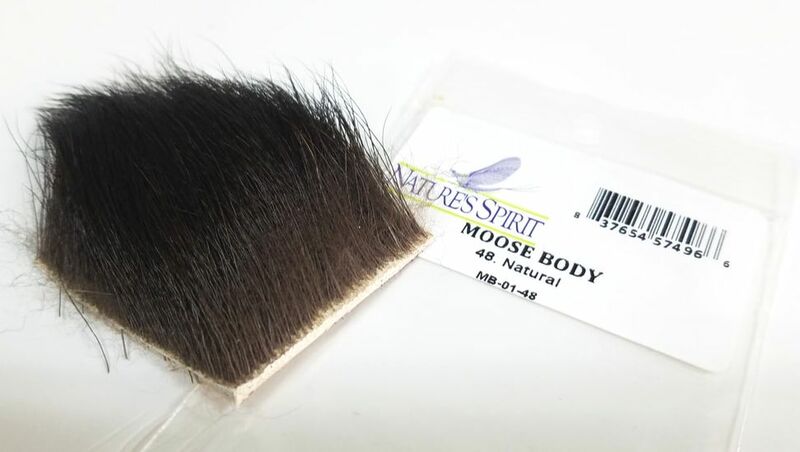 Similar in length and texture to standard moose body hair only with a mix of white, brown, and black colors. 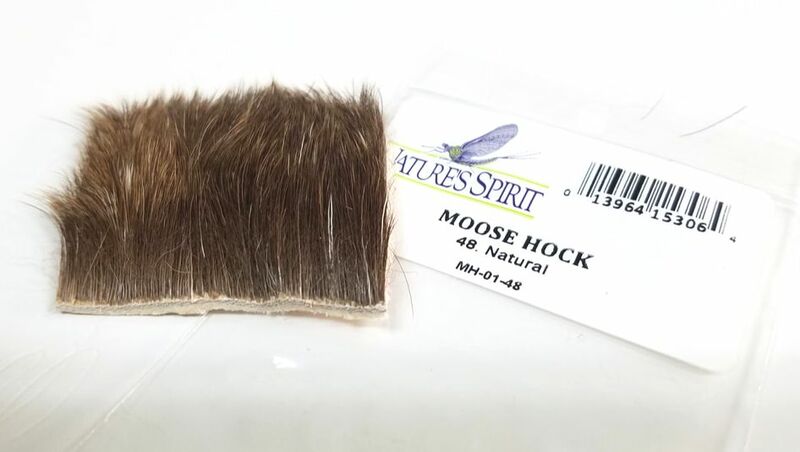 An interesting material which can be used to wrap bodies as well as for tails and wings. Extremely long (up to 8") hair comes in various combinations of white, brown and black. The bleached mane ranges from white to ginger. Great for striped bodies and extended bodies. 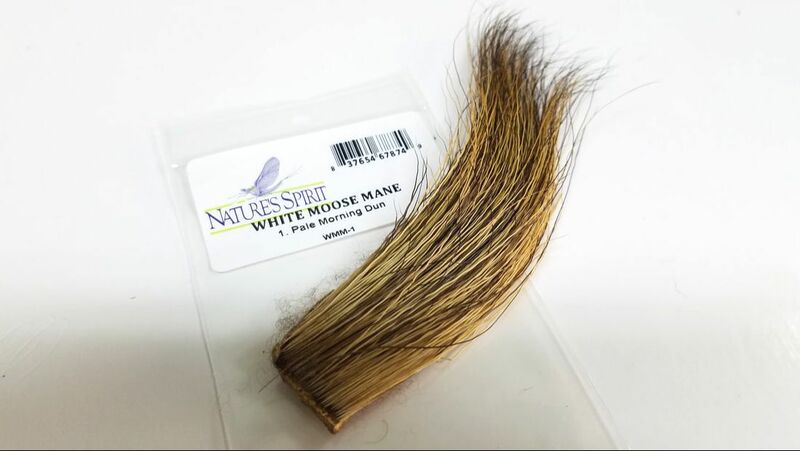 White Moose mane is lighter mane that we dye. 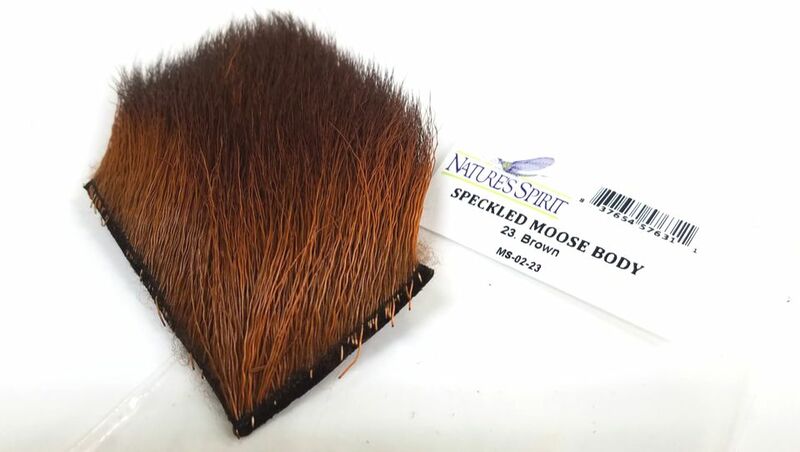 Same as regular moose mane in all of the specs, but in a decent color selection.